When we move into a new home, many of us have a natural urge to unpack the moving boxes and put things away into the cupboards and other storages spaces within our new home as quickly as possible, so we can continue with our lives. Often this means, popping items into cupboards with little consideration about the function of the room or how you will be using the space on a daily basis. More often than not, we put items away with the view that we will return to fix it up or organise it properly later. But ultimately, life gets busy and we rarely come back to re-organise the space. We simply live with it. However, if you take the time when unpacking to set yourself properly when you arrive in your new home, even it if means you are surrounded by moving boxes for longer than is desirable, you will find that your transition into your new home will be smoother for the whole family. Don't unpack anything that you genuinely don't love and need. If you are not currently using an item, it is not necessary for it to be stored in your new home. Just because you have always had it, doesn’t mean you need to keep it. In fact, the less that you unpack into your new home, the less time it will take for you to maintain your home. You can read more about the key principles of decluttering here. Before you unpack it is advisable to walk around your whole house and give every room and every cupboard, shelf and storage space within the room a defined purpose and function based on how you would be likely to be using the space. For example, in a spare bedroom that will be a combined study and guest bedroom, the top shelf of the cupboard could be where you will store the guest linen and towels, the second shelf could be left empty for guests to put their suitcase or other belongings and the third shelf could be for all the stationery you need when studying. Being very specific about the purpose of each space will help you to ensure that when you are unpacking items, you unpack them in places that you are most likely to use and need them. As part of defining spaces, think about each space as a zone or an area to do a specific task which you would do regularly. For example, you could create a tea/coffee preparation zone within the kitchen. Within this zone, you would store your mugs, tea cups, tea bags, coffee, sugar and anything else that you would need to make a hot drink as close as possible to your jug or coffee machine. By creating the zone and having everything that you would need to complete the specific task stored in a single area ensures that you are most efficient with your time as you have everything to do the specific task at hand and don’t have to go all over the kitchen to find the items. You can create zones for everything that you would do regularly - hair/make up zone, study zones, incoming mail and information (often called family command centres) or drop-zones for things that you would need to take with you as you come and leave your home (i.e. shoes, keys, bags, wallets, coats, umbrellas, hats). If you are using a removalist or unpacking service or have a band of happy helpers to support you to unpack, it can be useful to write details of what you would like stored in each space on masking tape or a post it note (or another non-permanent method) and attaching it to each shelf prior to the unpackers arriving to help ensure that they unpack items where you would like them. If this all sounds overly complex and confusing there are many local professional organisers, like myself, that can support you with setting up your systems as you move into your new home. 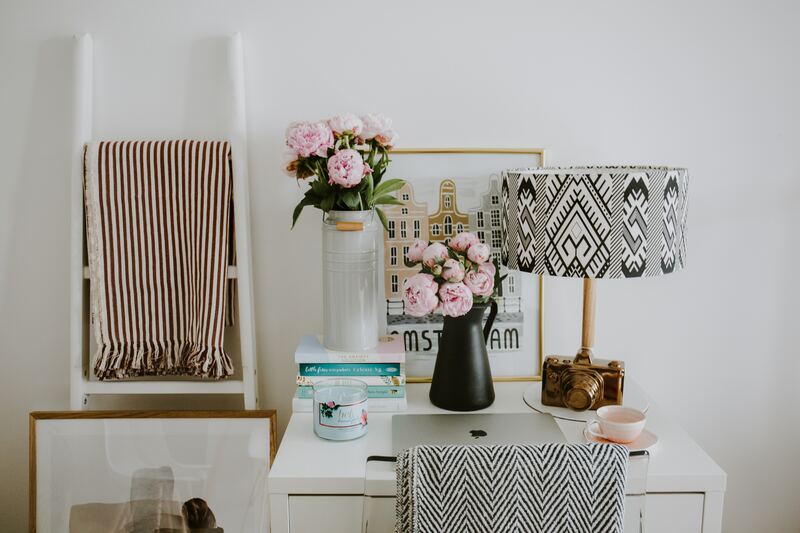 Owned and operated by Professional Home Organiser and Declutter, Amy Kennedy, The Organising Bee are all about the family. We support Canberra families and individuals to minimise clutter in the family home and put in place personalised organising solutions to make daily tasks quicker and easier so that you can have time to enjoy your life and have time to create those special memorable family moments. The Organising Bee provides hands-on support to sort, declutter and organise any area of the family home, however, our passion is organising kitchens and children’s spaces – bedrooms, playrooms and craft areas. We provide organising support to families during all life’s circumstances. The Organising Bee can support you through a career change, selling your home, moving, downsizing, dealing with a death of a loved one, preparing for and welcoming a new family member or when you are simply feeling stressed or overwhelmed. We look forward to supporting you and your family. The Organising Bee has been awarded the Best of Houzz Award for Service in 2017 and 2018, and is a Professional Member of the Institute of Professional Organisers (IOPO) and the National Association of Productivity and Organizing Professionals (NAPO). Copyright © 2017 - 2019 Ashby Partners, All Rights Reserved.